Come sit on the back deck with Bos. She will adjust your chair’s personal mini-umbrella to make sure the sun strikes gently below your face. She will point to colorful pots of herbs behind you and, to your right, the garden she planted herself, the first green tendrils promising peppers, beans and tomatoes to come. And get a load of Tom and Jerry! They keep her entertained with kitty siblings’ derring-do. “The boys,” she calls them, eager to wave around camera-phone photos. If it seems as though Donna A. 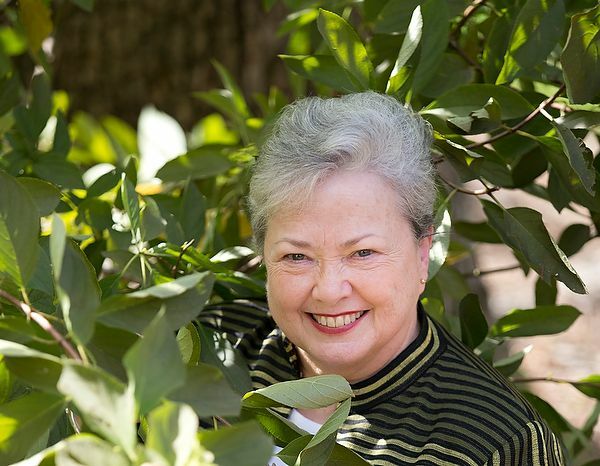 “Bos” Boswell (’72, MA ’74) is relishing her home and garden (and a zippy new Mini Cooper), you are right. This former psychology professor and well-heeled partner in the multinational law firm of Hogan Lovells, headquartered in Washington, D.C. (and London), has planted herself on bucolic Arbor Road in Winston-Salem, with its expanse of lawns and 1930s houses touted by real-estate agents as “gracious.” Officially, as of July 1, 2015, she is retired, retaining a few clients from her D.C. life and “of counsel” status with the law firm. But when it comes to Wake Forest, she is just getting started. Bos, as she is widely known, made history in June, becoming the first female chair of the board of trustees. Bos went on to distinguish herself in academia and the law, eventually, with a Ph.D., becoming a psychology professor at Wesleyan University and later, in her late 30s, enrolling at the University of Pennsylvania for her law degree. That led her to a career in Washington, where at first she specialized in complicated law concerning mobile-phone technology such as CDMA and then in health care law, from federal and state pharmaceutical pricing and medical privacy issues to health care reform. “Basically what I’ve done for 25 years is teaching — teaching regulatory law to businessmen and businesswomen whose businesses depend on them getting it right,” she says. After she left Wake Forest in 1974 she drifted away from the University, and, for a long time, she didn’t come back. She was on her career trajectory. But she never forgot what the University meant to her. “Wake Forest is woven in my core,” she says, “the basis for defining my adult identity.” A visit by a Wake Forest development officer reconnected her to her alma mater. Since then she has served on the College Board of Visitors and, beginning in 2004, the board of trustees. 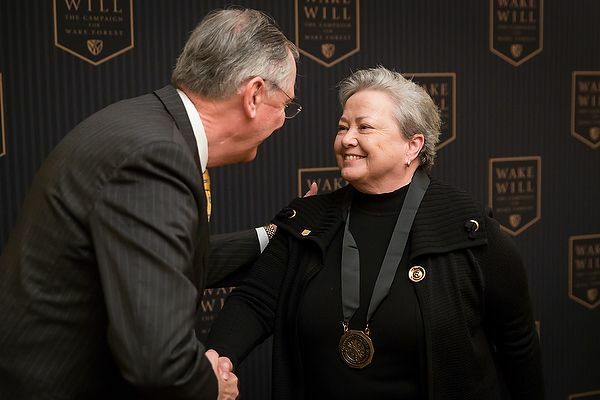 She has given countless hours as a Wake Forest volunteer, opened her house for Wake Forest events and made substantial philanthropic contributions. And with that, she takes me inside to see the Strings composites on a wall in her home office adorned with memorabilia from Wake Forest, the place that won her heart long ago, long before she was a renegade in Indian moccasins preparing to one day bust through a glass ceiling. Childhood: Born April 8, 1950, in Anna, Illinois, to a mother who was a homemaker and a father who was an accountant. Lived in Kansas City and later in Memphis. Academics: BA and MA in psychology from Wake Forest, Ph.D from The Pennsylvania State University, JD from the University of Pennsylvania Law School. Activities at Wake Forest: Worked in the Z. Smith Reynolds Library, served as a resident adviser, joined the Strings society, played flute in the marching band, babysat for faculty members’ children and ran experiments for psychology professors. 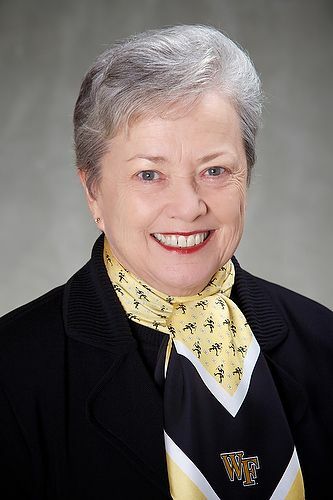 In later years, served on the College Board of Visitors, chaired the Wake Forest University Health Sciences Board and served as chair for the Wake Forest University Baptist Medical Center Board and as vice chair of the Wake Forest University Board of Trustees before becoming the first female chair, to serve in 2015-16 with the ability to be reelected to serve a total three years. She has been a trustee since 2004. Stint on Capitol Hill: A yearlong fellowship developing health care positions for U.S. Sen. Don Riegle (D-Mich.). Philanthropy at Wake Forest: More than $600,000 for scholarships, faculty support and medical education, particularly for the Patricia Heiges Brown Fund for Wake Forest Scholars and the Ollen R. Nalley Faculty Fellowship honoring her grandfather. 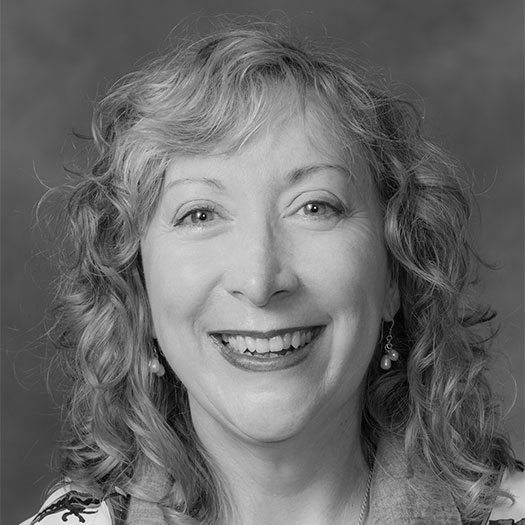 In addition, with a donation from Boswell of at least $1 million, in April the University announced it was establishing the Donna A. Boswell Presidential Chair of Health Care Innovation; the Presidential Chair initiative provides a University match to the first 10 donors to establish an endowed Presidential Chair. Boswell is also encouraging donations from her society sisters for an endowed Strings Wellness Fund to support special projects for Wake Forest women.